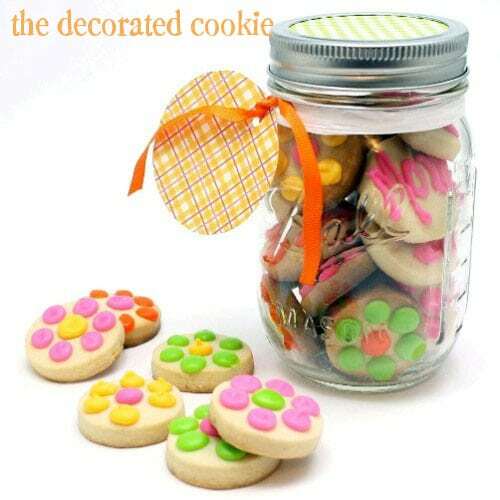 Mother's Day cookies in a jar: Simple daisy flower cookies in mason jar. 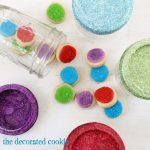 Simple daisy flower cookie bites in a jar are a perfect Mother’s Day gift or spring dessert. 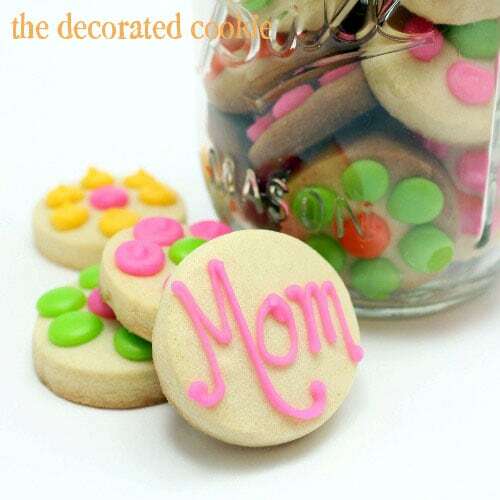 Just to give you one more option for the bite-size, mason jar, I heart you mom cookies… also known as Mother’s Day cookies in a jar. You can also fill your jars with mini daisies. So super easy to make, too. I make dot daisies a lot, since they are handy to have around for parties, too. 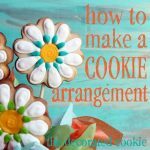 Find the original how-tos to make dot daisy cookies HERE. Need more fun ideas for Mother’s Day? 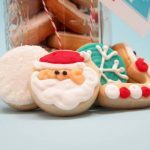 Try these personalized cookies for mom in a jar. Or make her family portrait cookies. Here is a roundup of awesome Mother’s Day cupcakes. And if you want handmade non-food gift ideas, check out this Mother’s Day handmade gift roundup. 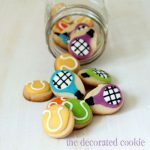 I love cookies like this, colourful but easy enough for me to make! Super simple even I could make these! Thanks! These are awesome. Simple and perfect! 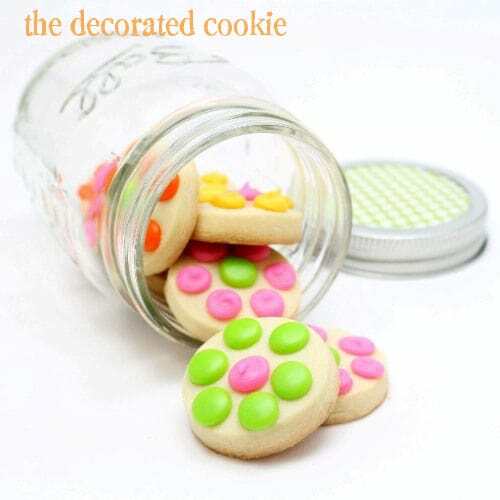 Whenever I see a photo of your sweets, I know it’s from the decorated cookie..I love your colors!